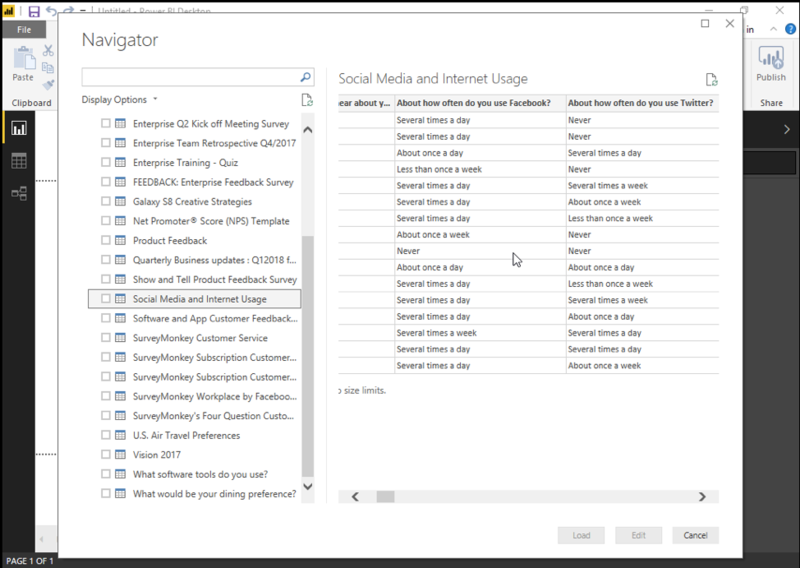 Use SurveyMonkey's Microsoft Power BI integration to push SurveyMonkey response data to Power BI. 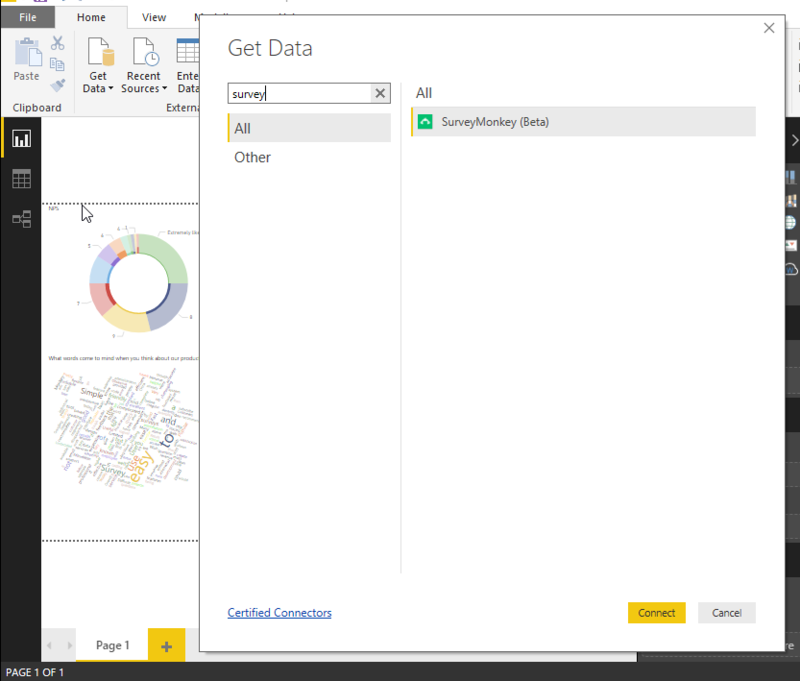 In Power BI, you can create data models, visually represent your survey data with charts and graphs, create reports, and share reports with others. This integration is only available to SurveyMonkey Enterprise users. 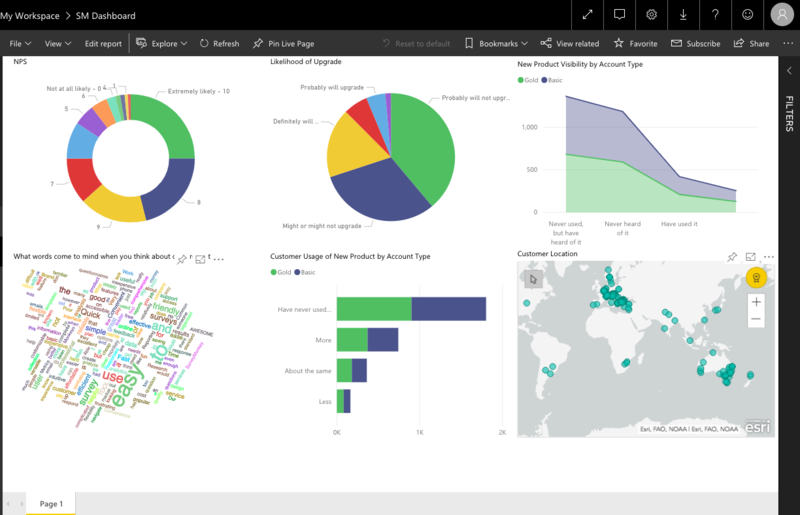 Power BI is a business analytics solution that lets you visualize your data and share insights across your organization, or embed them in your app or website. Connect to hundreds of data sources and bring your data to life with live dashboards and reports.